Glaucoma is a group of eye diseases that gradually reduces an individual’s sight without warning and often without prior symptoms; it commonly occurs as the eye ages. The gradual vision loss of glaucoma is due to damage to the optic nerve, which carries images to the brain. Any loss of vision may be an early warning sign of glaucoma. As a rule, damage caused by glaucoma cannot be reversed. However the condition can be controlled and treated with eyedrops, laser treatments or surgery. Early detection and regular examinations are critical to managing this condition. We encourage regular eye exams, especially for people over 60. Having glaucoma surgery may prevent further complications from the condition. Glaucoma surgery improves the flow of fluid out of the eye, resulting in lower eye pressure and is aimed at preventing further loss of vision. Sound Eye and Laser offers both glaucoma surgery and cataract surgery for patients suffering from either or both of these conditions. 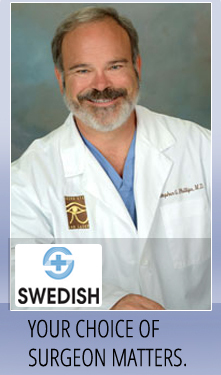 For more information regarding glaucoma surgery please feel free to contact us.